Water harvesting is a good practice of capturing rainwater runoff in Australia, normally from a rooftop, and storing it in a water tank or cistern for domestic use. Typical uses of rainwater tank pump are transferring the tank water to the household use, washing vehicles, flushing toilets, boosting low water pressure in homes where the incoming municipal water supply pressure is inadequate, domestic & light industrial irrigation. We have full range of Rainwater Tank Pumps that will meet your requirement. Pumps range from 35 Litres per minute to a massive 105 Litres per minute. We strongly recommend that you purchase stainless steel housing pump when water is going to be used for drinking. AutoÂ Rain Water Tank Pumps start and stop operations of an electric pump with regard to a stop in pressure (opening of the taps) and to stopping of the flow through the system (closing the taps), respectively. Also it has run which rainwater tank pump suitable for yourÂ householdÂ protection; it shut the pump off if your tank run out of water. Manual Rain Water Tank Pumps are an economical way to water the garden or transferring water. You turn the pump on and off at the wall plug when you require water. Water Tank Pumps to Fiji. 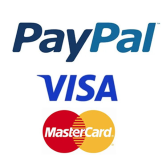 See our info guide before purchase. 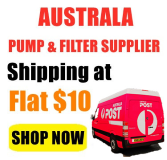 If you need advice or assistance to choose the correct water pump for your need or simply have some inquiry, please call us on 02 96832253 or email your name and contact number at customerservice@clicktobuy.com.au and we will contact you shortly.